Should You Phone or Email Your Editor? 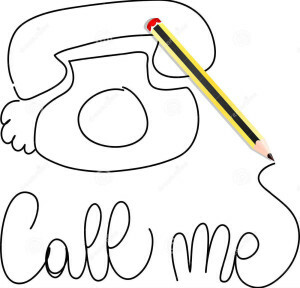 Whenever a client (or potential client) wants to talk on the phone, I silently cry inside, “Editors don’t do phone!” I’m kidding of course, but not completely. By nature, editors are most comfortable with the written word and therefore prefer to communicate by email. If an author wants to speak to me, I will, even if my palms sweat a bit at the thought. There are benefits to speaking to an author on the phone, but there are also disadvantages. Whether to call or email your editor is a matter of personal preference. Pros and cons lie with both. 1) Spontaneity: Interaction on the phone can lead to unplanned conversations or details about your project. It might even lead to a new project. 2) Some things can be more easily explained on the phone. 3) Phone calls can eliminate the back-and-forth emailing of “Is this what you mean?” You get everything nailed down in one (or two) conversations. 4) Talking on the phone gives that personal touch. Nice? Sure. But I’ve had clients for years whose voices I’ve never heard, and yet I feel close to them. Note that this is not an editorial advantage but a human perk. 1) You have everything in writing. As an editor, I often refer back to see what the author wanted—did he or she want me to pay special attention to dialogue? Comment on chapter length? Note character inconsistencies? As a writer, you can review previous conversations and often find answers to questions that come up. Even if you and your editor decide to put in writing everything you discussed on the phone, you will not recall everything, and you both might remember things differently. 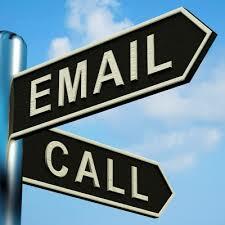 2) Email creates a permanent record of communication that can always be referenced. 3) E-mail allows you to think about exactly what you want to say and then detail it in a well-thought-out note. When speaking, people interrupt each other, lose their train of thought, or think of things after they hang up. 4) People are generally less intimidated in email. The author-editor relationship is based on openness and honesty, which is easier to maintain in email. About my preference for email? I like to think about what I’m going to say. My spontaneous answers are never as good as my reflective ones. And I always want to offer the best possible answers/work/solutions to my clients. I liken this to first drafts. They are never your best work, right? Phone calls are like your first drafts. Emails are (or can be) your final copy. 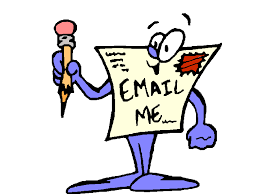 Now that I’ve expounded the virtues of calling and emailing your editor, with an obvious bias for emailing, I must disclose the fact that once I get started in the editing process, my clients rarely even find the need to email me. The emailing usually occurs before the project begins. By the time I start, they have a solid idea of what will be done with their manuscript, document, or website. When I return the edited document, I make it clear that they are welcome to ask any questions related to the edits. I check my email a gazillion times a day. 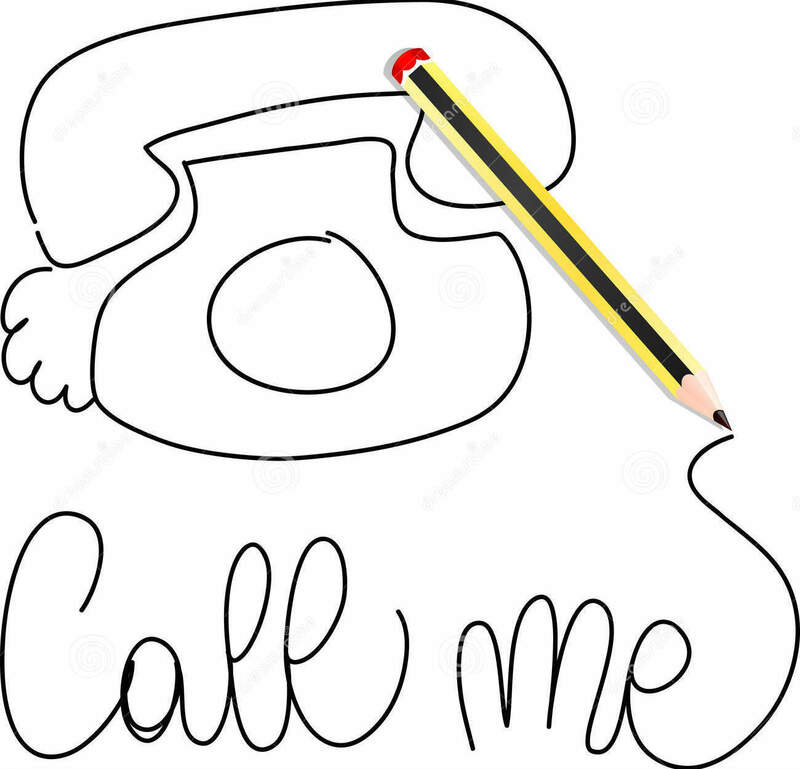 My phone will almost always go to voicemail, but I will return your call … even if it makes my eye twitch a little. If you do talk to your editor on the phone, remember to keep the chit-chat to a minimum. As excited as you might be about your new puppy (who wouldn’t be?) or the latest sensation on Netflix, your editor needs to get started on your project, so have those questions and/or details ready to go! I think if you want to speak for yourself in your blog post, that’s fine, but I think you go off the rails here when you try to speak for “most editors” or generalize. Is it really true that most editors “prefer to communicate by email?” Or “people are generally less intimidated in email?” Or that “openness and honesty” are easier to maintain in email?” (I mean, do people lie and hide more on the phone than they do in emails? Really?) You may have experienced these things, but to generalize that this is the experience of most editors or generally true is far-fetched. For many in-house editors and developmental editors (I don’t know if “most) phone and even face-to-face meetings are absolutely necessary. Also, you should know that editors don’t have to choose email OR phone. They can use both—and phone conversations can be documented in writing in follow-up emails and contracts, so there is, indeed, a future reference. Phone calls can be scheduled, planned out, and thoughtful, just like an email, and perhaps even moreso. Just saying: It would be better to speak for yourself about your preferences and comfort rather than “most editors,” and a good idea to be more careful to distinguish between what is true in your experience and what is demonstrably true for everyone. Point well taken. However, my experience has been that most editors prefer to communicate through email. I have raised this question on numerous editor groups and have arrived at this conclusion. Of course there are exceptions. I don’t believe that people “lie” on the phone, but some people are more comfortable writing things than saying things. It’s easier to use the keyboard to say things than it is to voice them face-to-face, or phone-to-phone. I respect that there are situations where editor-author phone calls or face-to-face meetings are beneficial or even necessary. I can also see instances where both email and phone can be used, and I have done this with authors myself. In this blog I wrote that I have “an obvious bias for emailing.” However, as previously stated, my experience, after much inquiry, is that most editors share this bias. I respect that you might have a different experience, especially for in-house editors. I welcome all views. I am an established writing and editing professional, with a master’s degree in publishing, and over 20 years of editorial experience. After spending many years as a professional writer, and working for a prominent literary agent, I turned my attention to book editing and have been helping authors ever since. My keen eye allows for insightful feedback on your manuscript, website, or document. With the expertise of knowing what agents and publishers are looking for, I now dedicate myself to editing and proofreading manuscripts, and getting you ready for publication. I was a book reviewer for Kirkus, and I hold memberships in the Editorial Freelancers Association (EFA) and the American Copy Editors Society (ACES). 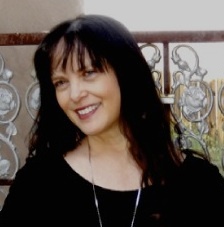 My personal passions include animals, Vedic chanting, American Sign Language (ASL), yoga, and all things spa. I am a certified Primordial Sound Meditation teacher. The Write Edit on Should You Phone or Email Your Editor? Bill on Should You Phone or Email Your Editor?